ending joy and happiness and a reason to stay happy at the hard times. specific group of people then you must drape their style and trend at the time. and club the set with authentic gold or antique gold choker or necklace. worn with shararas or parallel pants. experimenting with zardosi work! No, this is not done. embroidery art done intricately by the skilled craftsmen in India. dresses are ordered with this art. 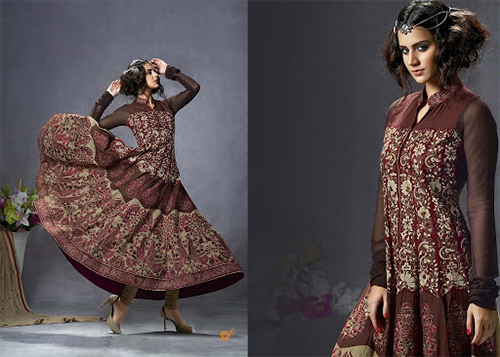 apparel has a huge lot of dresses or types of ethnic wear. shown). They can be wonderfully paired with mojaris or Punjabi Jutti.